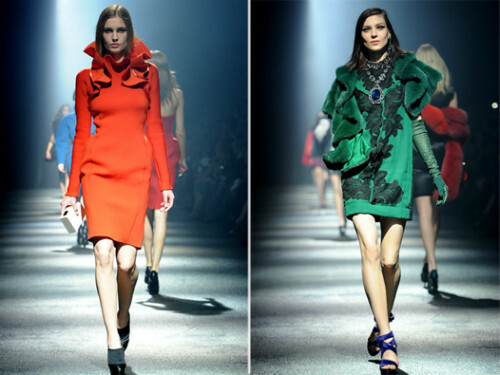 The true fashion genius Alber Elbaz, is celebrating the 10th anniversary of his collaboration with Lanvin this year. Last night, he presented his new collection in Paris, which was inspired by his “dreams, history, and past”. Everything that this brand is loved for found its place in the collection: refined silhouettes, vintage spirit, and authentic French chic with whimsical playful elements. 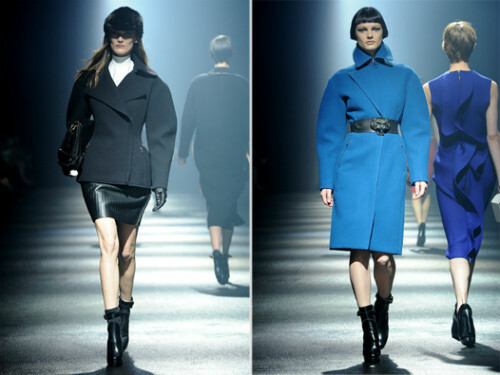 Lanvin Fashion House has always made special emphasis on femininity. This time, the brand has presented the items that can truly decorate their owner. Of special importance are the silhouettes that the designer accentuates: tight geometric models emphasizing the figure are predominant, as well as basques. Elbaz uses rich décor and luxurious fabrics: gold brocade, applique, baroque embroidery, lace, fur trim, crystals, and jewelry.